Tagua is a Tenerife company that provides all kinds of services related to the integral water cycle. Born in 1987, it has a turnover of around five million euros and employs about 40 people. 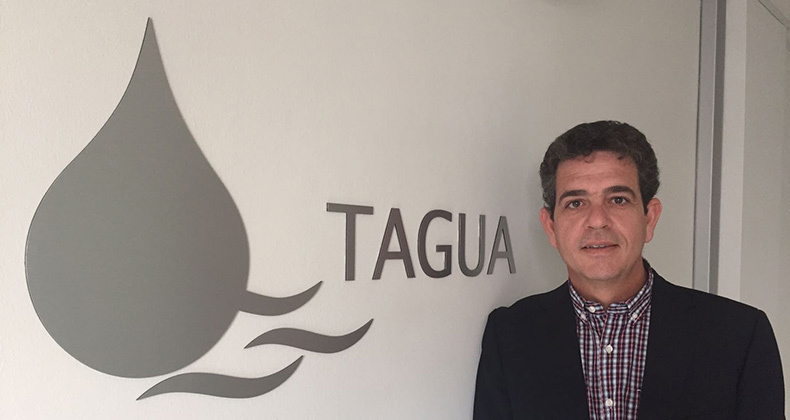 Luis F. González Sosa is the general director of Tagua, a company from Tenerife, which is reaping great successes and recognitions in our country because they have become a reference company in any activity related to the integral water cycle. The ICEX Spain Export and Investment highlights its work through this video, which we share with all of you from #TenerifeLicita because we are proud of the trajectory and innovative commitment of Tadagua, which is also one of our partners. Congratulations from the Cabildo de Tenerife and the Chamber of Commerce of Santa Cruz de Tenerife to the entire team of www.tagua.es, which at this time has successfully developed the creation of a new material for the elimination of fluoride in waters of human consumption. Four years ago, Tagua started an investment project, in collaboration with the CSIC, which has resulted in the creation of a new material destined to the elimination of fluorine in waters for human consumption. Excess fluoride in water has very harmful effects on health and affects some 300 million people in 25 countries. With this new and exclusive product, called Hindrop, Tagua hopes to start its internationalization with more than promising expectations: “Our goal is that, in the next few years, exports will account for 70% of the company’s turnover”, predicts Alfonso Romera , Director of Business Development. From #TenerifeLicita we will continue to support Tagua in conquering new markets through International Tenders.